Over time, your windshield is prone to scratches. The scratches can occur in a number of different ways, including general road debris, animals scrawling over the glass or even from the ice scraper. In most cases, you can repair these scratches yourself as long as you have the proper tools. However, it is important to note that without the proper tools and expertise you may cause more damage to the auto glass that would require professional assistance. 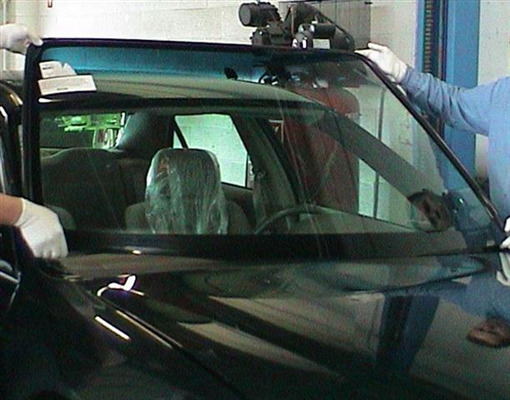 Therefore, it is always recommended to have a professional tackle any task related to your windshield and auto glass. Only 1 Auto Glass is here to meet all of your windshield needs. Obtain a soft rag or sponge, if your glass polish didn't come equipped with one. Make sure to read the directions on the polish, as some substances will require dilution with water. Locate the scratched area of the auto glass and apply a small amount of polish to the area. Use the rag or sponge to work the solution into the scratch. Once you have gotten the polish into the scratch, you will need a motorized polishing or buffing tool to buff the area. Whether or not this method is successful will depend heavily on the severity of the scratches that you are trying to remove. The deeper the scratch, the less likely this scratch removal method is going to work for you. An easy way to determine how deep the scratch can be done by rubbing your fingernail over it. If it catches, then there is a chance it is too deep to be simply buffed away. You may be able to reduce its appearance, but it will still be there. In some cases, the scratch is actually a crack, which would typically require a replacement of your auto glass. It is important to keep in mind that removing scratches with polish is not a permanent solution. This is particularly true with deep scratches that cannot be buffed out. A professional may be able to repair the scratch (or crack, if that's what it is determined to be) or it may be necessary to replace your entire windshield for safety purposes. Ultimately, your best bet is to contact us here at Only 1 Auto Glass to obtain a quote for professional scratch removal. We can examine the scratch and determine if it needs a full-blown repair or if it is actually more than a general scratch and you need to consider windshield replacement. « How Is A Rock Chip Repair Made? Can An Auto Glass Repair Shop Fix Scratched Windshield Glass?